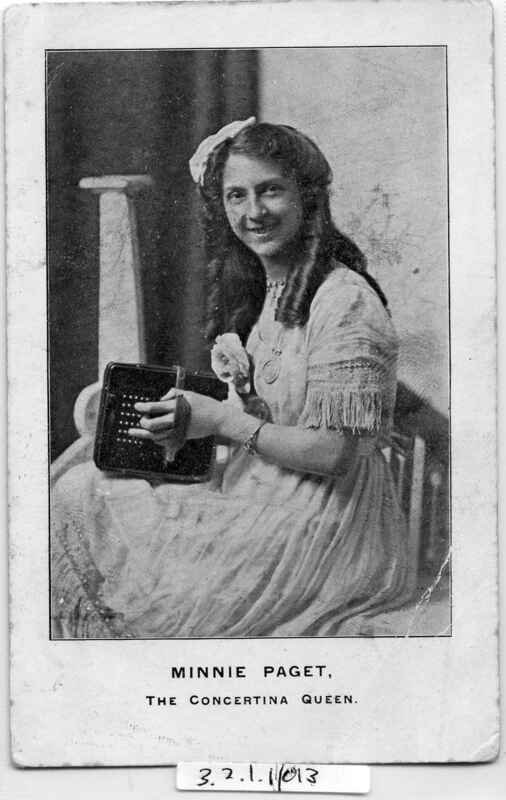 Full Description: A British Photo-card of “Minnie Paget the Concertina Queen”. She in flowing white lace dress, hair in ringlets, holding her trademark square 6-column Maccann-style concertina (see further Paget Postcards at 3.2.1-014 and in the Horniman Museum Wayne Collection, Nos: __________ and ___________. Postcard header to rear.